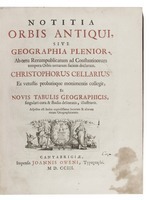 otitia orbis antiqui, sive geographia plenior, ab ortu rerumpublicarum ad constantinorum tempora orbis terrarium faciem declarans. 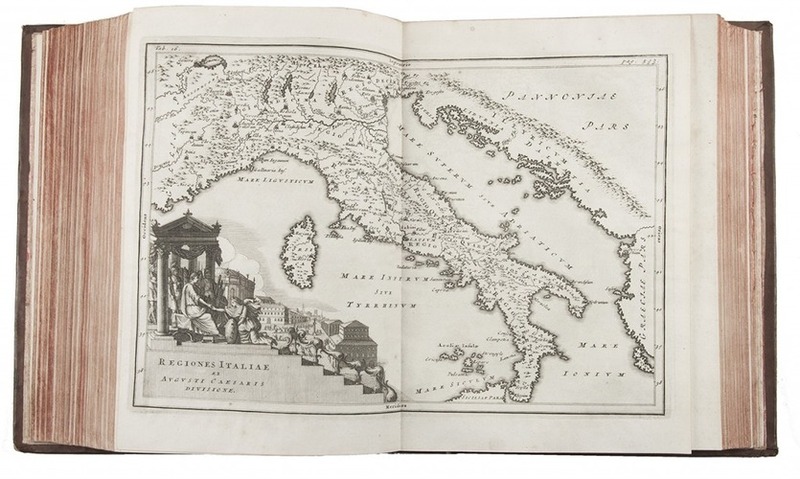 … et novis tabulis geographicis … illustravit. 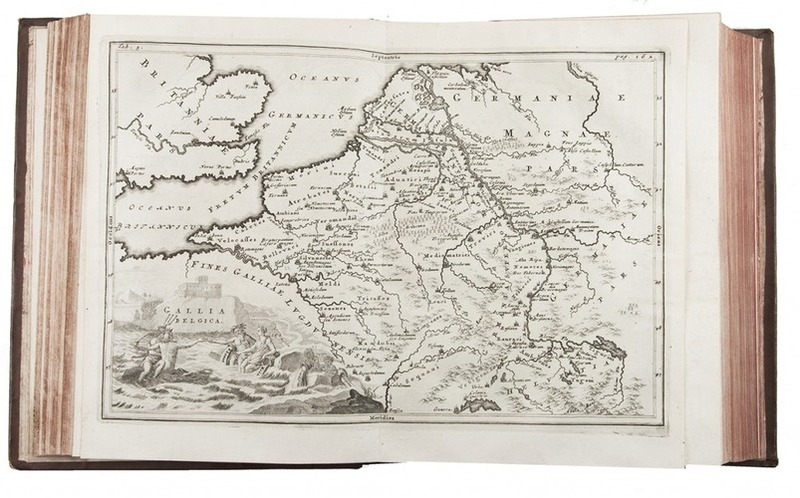 (Volume 1:) Cambridge, John Owen, 1703; (volume 2:) Amsterdam, Caspar Fritsch, 1706. 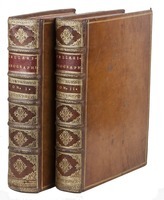 2 volumes. 4to. 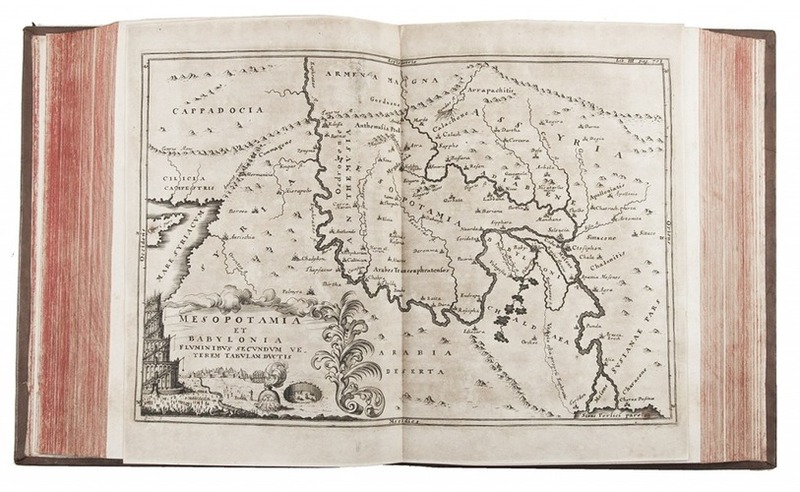 With engraved author's portrait, 33 engraved double-page maps and 1 engraved double-page plate. Contemporary calf, richly gold tooled spines and binding edges, double gilt fillets on sides. 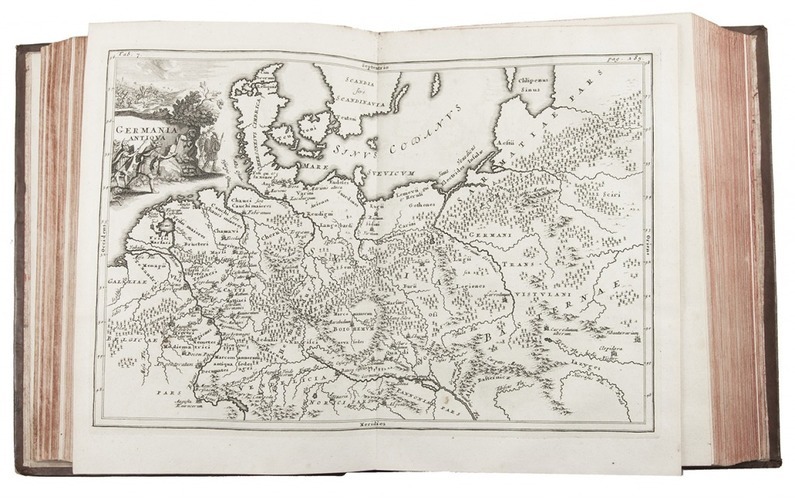 Second edition of a geographical description/atlas of Europe, Asia, the Middle East and North Africa on the basis of classical and other sources (such as medieval Hebrew), with 33 detailed maps. 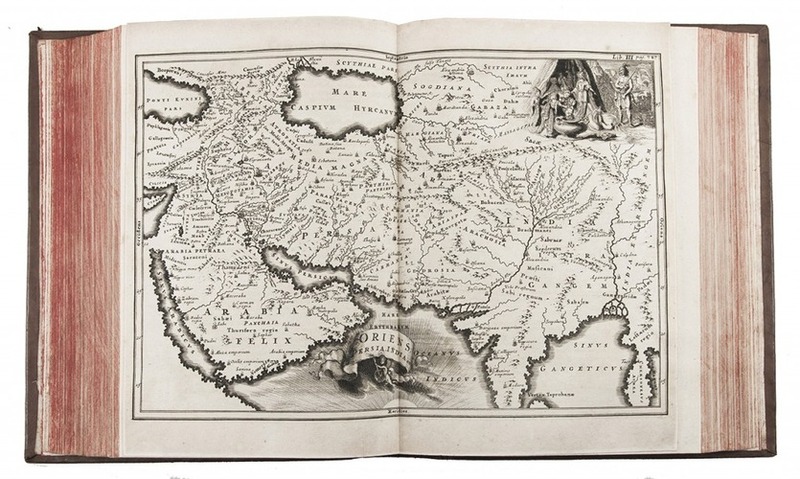 Volume two opens with a part on Asia, including the Middle East, with chapters describing Syria, Palestine, Arabia and Mesopotamia, each with a detailed engraved map. 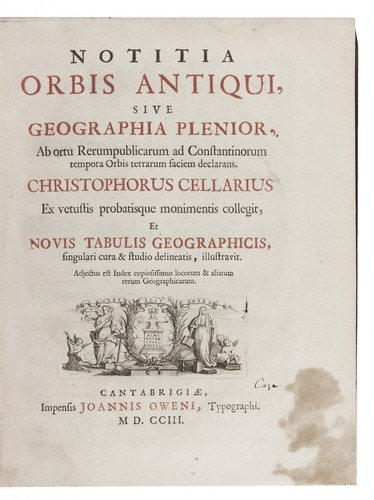 Sandys considered Notitia orbis antiqui Cellarius's most important work. 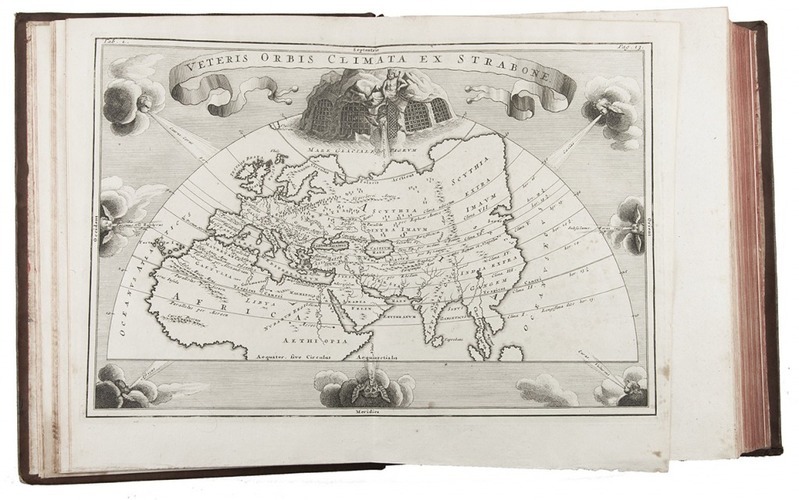 At the end of the second volume there are three pages of American interest, Additamentum de nove orbe. 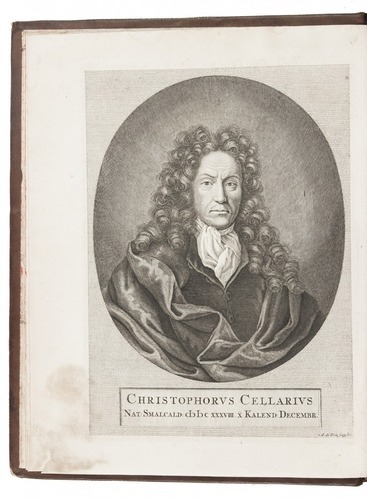 With owner's inscription on flyleaf and title-page. 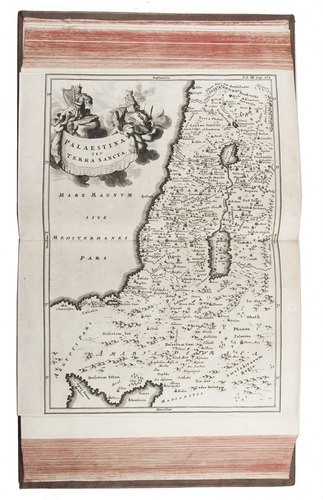 Although the work is slightly browned as usual and contains a few spots and stains, the maps are printed with very crisp impressions; good copy. The binding slightly bumped at the corners and a couple minor spots on the sides, otherwise very good with the tooling very well-preserved. ESTC T144498; cf. 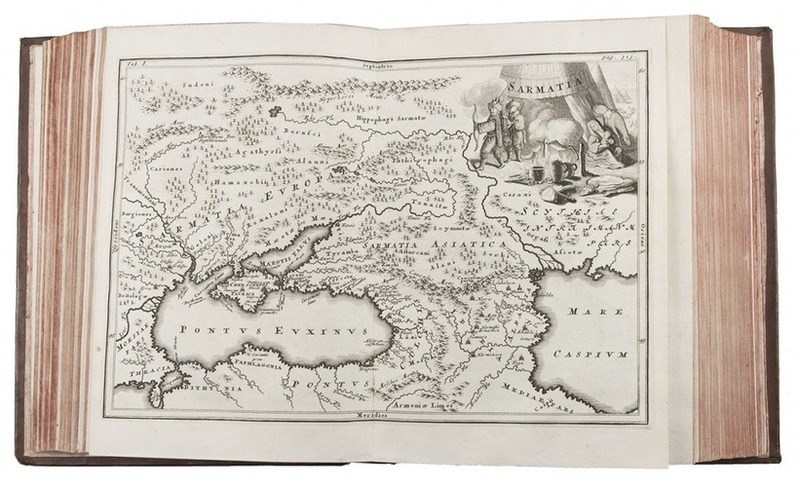 Sabin 11655 (1731-1732 ed. ); Sandys I, p. 369.